One point belt created special for small weapon, like AKS-74U, or AK-105, or M4A1. Have a stretch part, that will protect you're neck, if you need "quicky drop you're weapon". 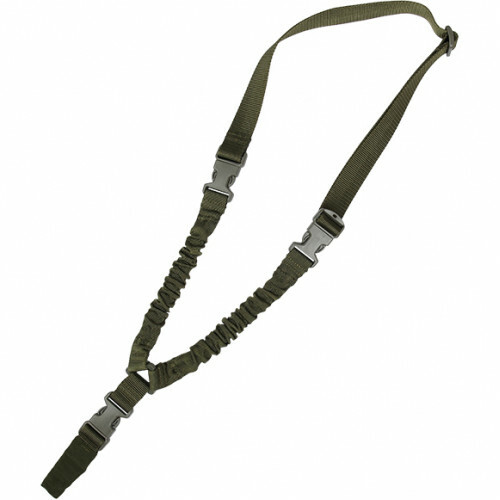 Also carabiner closed cloth thus provides quietness when transferring weapons and increased durability.